Neighbourhood Watch is helping to share Crime Stoppers WA’s community safety messages through its social media networks and working groups. It’s about working together as a community to improve our personal safety and household security. 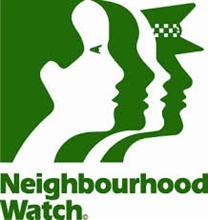 The objective of Neighbourhood Watch is for neighbours to work together to prevent crime and therefore create a safe and friendly environment where crime is less likely to happen. keep an eye on their immediate environment. By increasing the number of people working together to increase the level of supervision of homes and their environment can be an effective means of combating burglary, theft and vandalism.